A bit of background: Surgical GoHogs is a relatively new attack strategy. I do not know who originally invented it, but I learned about it through Moskri’s video: “TH9 Monsterous 3 Spell GoHo.” In this video, he shows 王力使 attacking Halftrix with a Surgical GoHo attack and three-starring him with only 3 spells. The way this attack strategy works is pretty complicated and hard to execute correctly. The basic idea is using 1-3 golems and your king to break into the base and take out defenses, the enemy king, and distract other defenses. If you are lucky and attack from the correct side, your king and golem may activate a double giant bomb. Once the golems and king have done their job, you can sent the hogs. This is where the surgical part comes in. An important thing about this army is that the army varies with every base. If you are serious about war, you should never have an army “composition.” You should have an army customized to the base you are attacking. Double giant bombs are not very effective against this strategy even though it is mostly hog based. Very bad against far spread bases, or bases with centralized point defense. 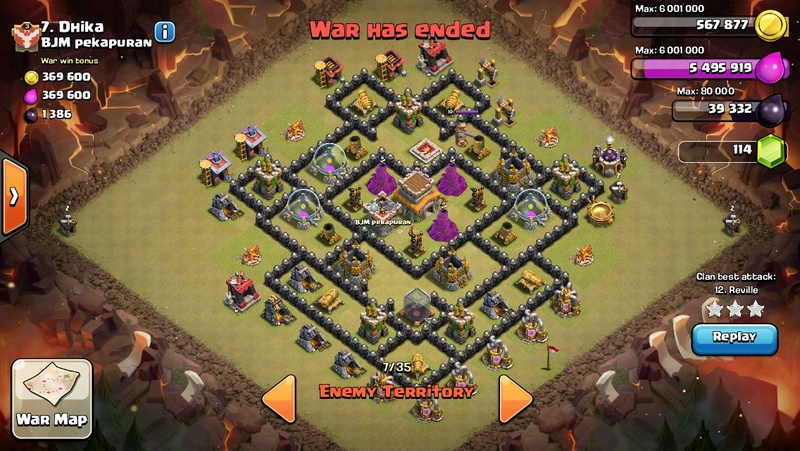 The Ideal Base: This attack works on almost all TH8 bases, but it works best on bases with neglected/low level point defense. It is also very effective against bases that have all or most of their point defense on the outermost ring of walls. The Golem-King portion of the attack should be able to take out at least 1 compartment before sending hogs, so a base with large compartments is also preferable. 1. You always want to start by luring the Clan Castle. There are a few ways to do this. If the Clan Castle radius is outside of the walls of the base, you can use 1-2 giants to get the troops out. 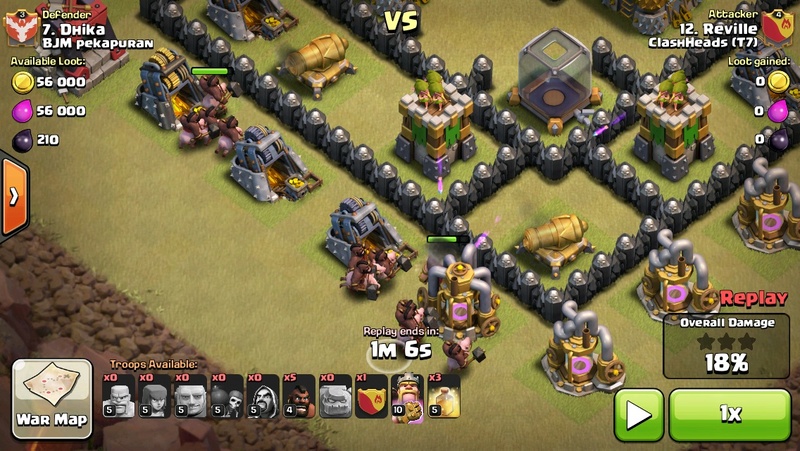 If the radius is inside the walls, my favorite method is using 2-5 hogs to take out 1-2 defenses and get the Clan Castle troops out. 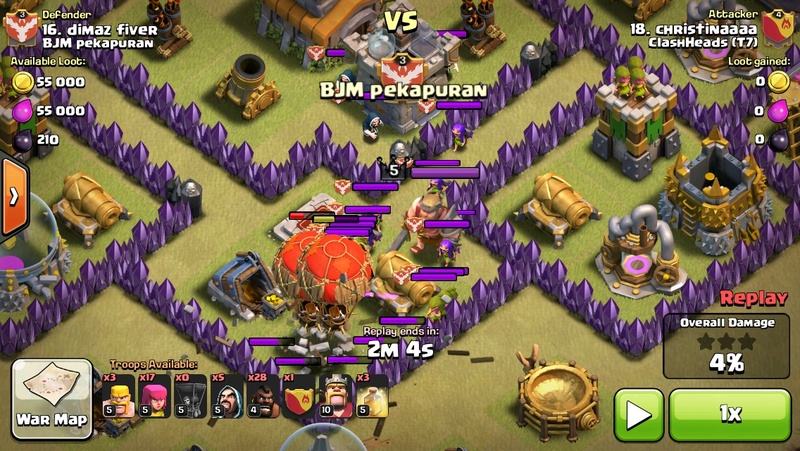 If the radius is inside the wall and there are defensive buildings not covered by air defense, you can use 2-5 balloons to take out 1-2 defenses and get the Clan Castle troops out (If there are units that only target ground in the enemy Clan Castle, the balloons will not pull them out). If the Clan Castle Radius is really far out, you can even use just some archers or barbs to get all of the enemy Clan Castle troops out. 2. Next, you must kill the Clan Castle troops. The best method is to pull the Clan Castle troops to the side that you are going to attack from, and use the golems to tank the damage. 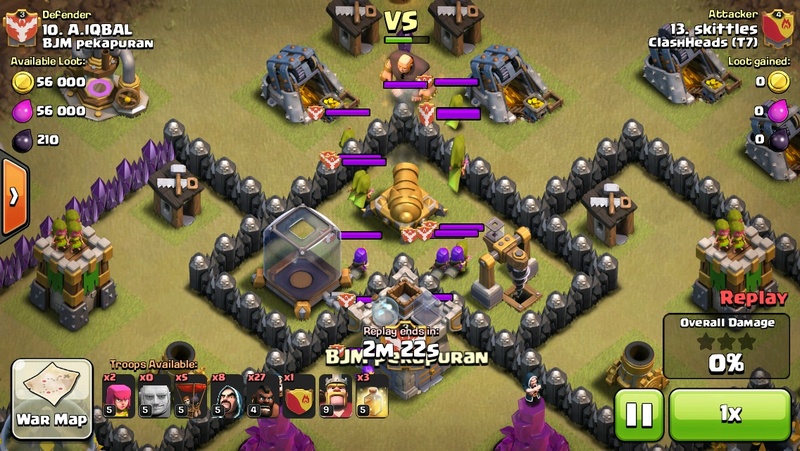 As soon as the enemy Clan Castle troops engage the golem, the attack really gets moving. 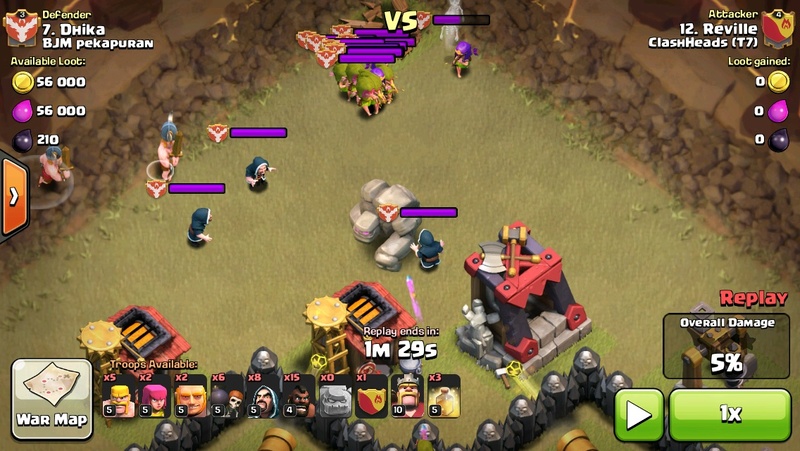 You must quickly place a few wizards to create a funnel so that your king goes into the base, and then place some barch and the rest of you wizards to kill the enemy Clan Castle troops that are attacking the golems. 3. After the enemy Clan Castle troops are all dead and the wizards have created a proper funnel, you can send you wall breakers at the area where the mortars and wizard towers are not shooting at your golems. Once a hole has been made by the wall breakers, the golems should retarget and go into the base. Once this has been done, you can send in your Barbarian King. With a proper funnel, he should go straight into the base and agro the enemy Barbarian King. When the Barbarian Kings fight with each other, wait until your Barbarian is about half health before using his Iron Fist ability. If you do not have Iron Fist yet, you probably should not be using this attack strategy. 4. While the king and golems are still tanking the damage from nearby defensive structures, its surgical hog time! Send 1-2 giants to an area where they will soak up the most damage from the point defenses. Once the giants are tanking the point defenses, send 1-4 hogs on each defensive structure that the giants are tanking. Once the defensive structures in that area are down, the hogs will continue to travel, hopefully gathering into a larger pack. Do this on all sides until the base has had all the sides taken out. Like LaLoon, it is a good idea to send the hogs in a clockwise or counter-clockwise way, so that they gather together. By this point, the hogs should be in a very large group and will begin cleanup. One important thing is where to place your healing spells. I usually place one if a giant bomb pops up or if the hogs gather in the core. Unlike most hog attacks, surgical hogging does not rely on heal placements as much as how you deploy your hogs. 5. The cleanup should go quickly and should give you the 3 star if all goes well. 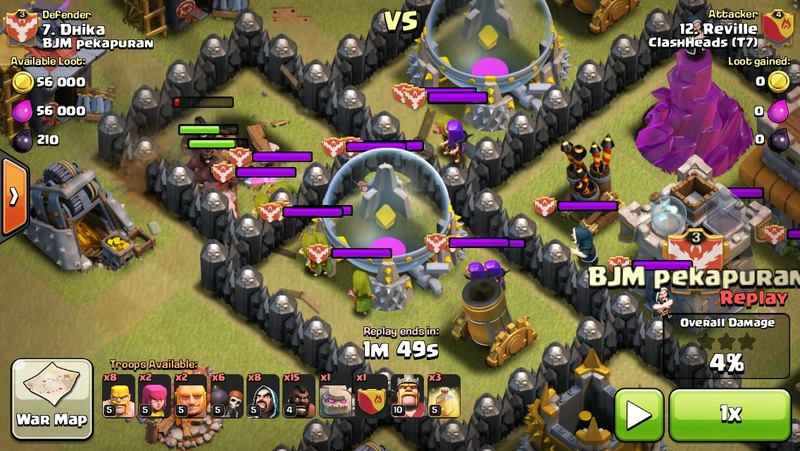 If you have some leftover barch or wizards, place those to speed up cleanup. If the base has one side of the base uncovered by air defenses, you can take it out with balloons. 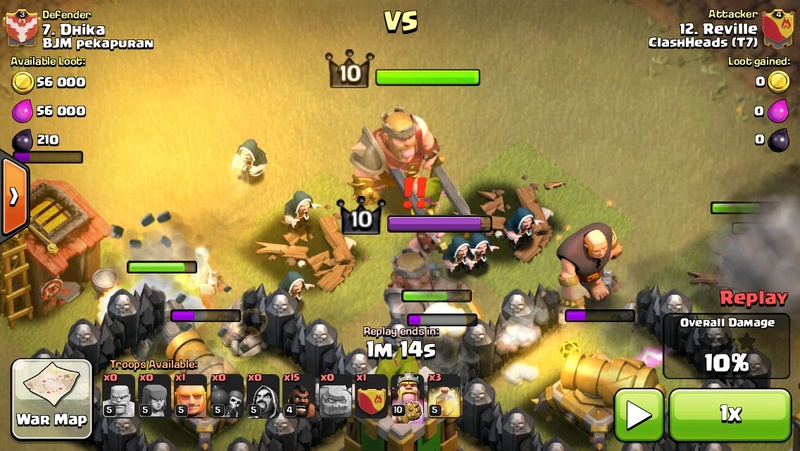 To deal with a witch in the enemy Clan Castle is easy, simply expose her and then drop 3 barbs on the witch. 5 hog riders – These can be used to help with the surgical portion by deploying them after you place the giants to tank. One P.E.K.K.A – She can be used to tank and aid the golem and king when breaking into the base. 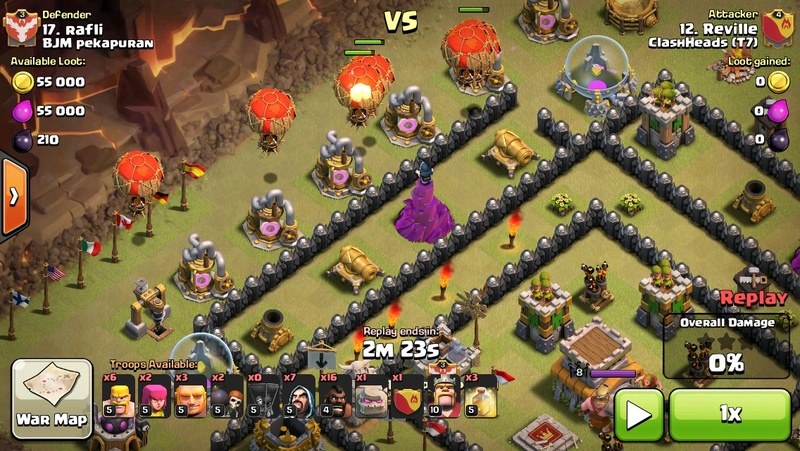 Two Witches – The witches are used just like the P.E.K.K.A in this attack, except they are better at cleanup, but worse at tanking. 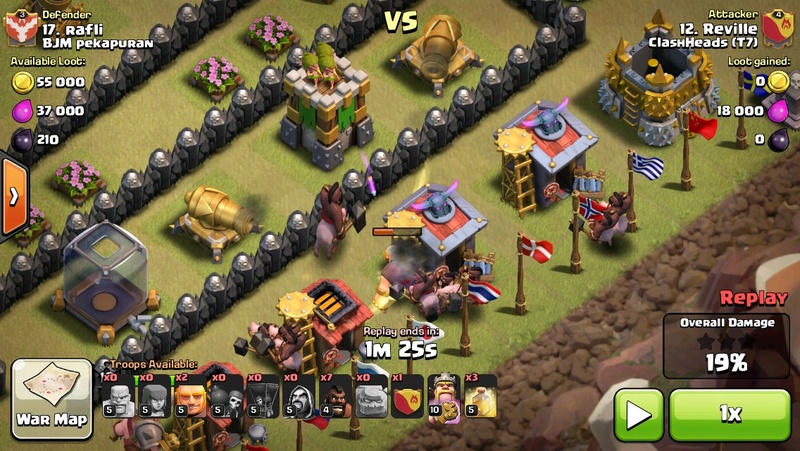 1 Giant, 4 hog riders – Deploying this clan castle is just like placing a giant and then hogs from behind. Wizards and barch – This combination can be used to kill the Clan Castle troops and help the golem and king to break into the base. All wall breakers – This is the combination I always use, wall breakers are very good at cleanup and they can do very high damage at high levels. If you have a clanmate who plays Boom Beach, have him/her donate you medics, because they will not be targeted by the air defense while they are healing your golem and king. 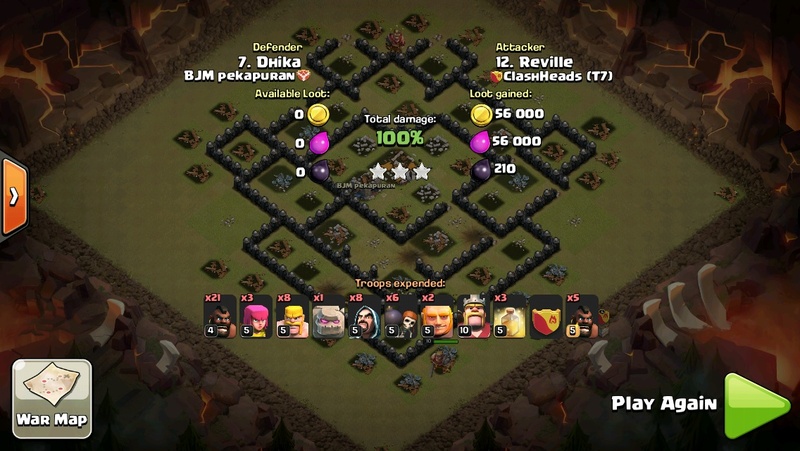 Keep in mind that this attack is better for mid-high TH8s. 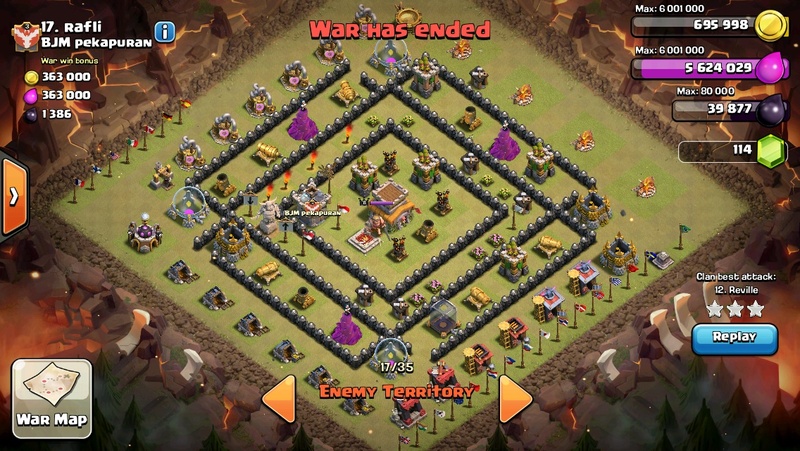 Low TH8s should probably stick to dragons. Photo Cred goes to Reville from Supercell. I have to investigate your articles. Call Girls in Hyderabad Expecting to look at your next post. Cheery to see this awe-inspiring article, incredibly strong for us. Hyderabad Escorts I am searching for after some increasingly better in your next article. I found an impressive proportion of unfaltering information here, to an unimaginable degree educational article. Escorts in Jaipur A dedication of appreciation is all together for your effort and support for us. Keep Sharing subsequently, you're an inspiration to us. I am very impressed with your game page, it's great. thank you for sharing. I really like to read this blog. I found lots of information from your site. I will definitely share this with my friend and other social networks. Thanks for sharing. All want to wear lovely and trendy dresses, especially women need always something unique and different. With Target Promo Codes 2018 all women can complete their fashion needs with many discount vouchers and deals. Looking fantastic every sight which is shown here Clash of Clans and this si my fgavourite game ever get help file explorer windows 10 when I need something help of the and want to destroy the fort of my enemy then I make a best plan for it.